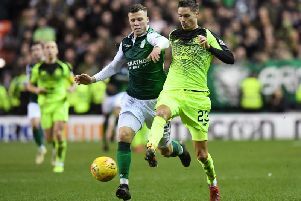 Danny Swanson has revealed that one of the main reasons for joining Hibs next season is because his late friend Shaun Woodburn wanted to see him play in the green-and-white. Woodburn, who played junior football for Bonnyrigg, tragically died at the turn of the year and Swanson was a close friend of the 30-year-old. He was attacked and stabbed while out celebrating with friends.